Many MLSs are now accepting and distributing high-resolution images. Even so, some of what they call ‘high-res’ is not high-res enough for some applications. Most MLSs still downgrade the photo resolution for faster display on their own platforms. AdMaster™ accepts any size image in their data feeds, yet when that is not large enough, clients can easily re-upload their original high-res images. In addition to the ability to re-upload, AdMaster™ can take data feeds from photography vendors when there is significant volume of client use. We can then incorporate and/or overwrite the original images from the client data feed. 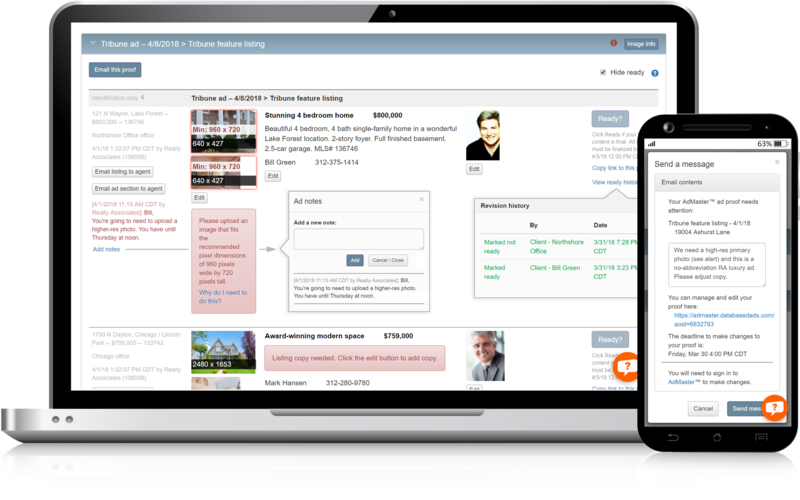 Companies that use AdMaster™ to syndicate their listing data and images to popular real estate sites can benefit from the easy upload capabilities in AdMaster™. Every destination then receives images at the optimal resolution for full-screen display. We also incorporate a separate photo sort for online display. 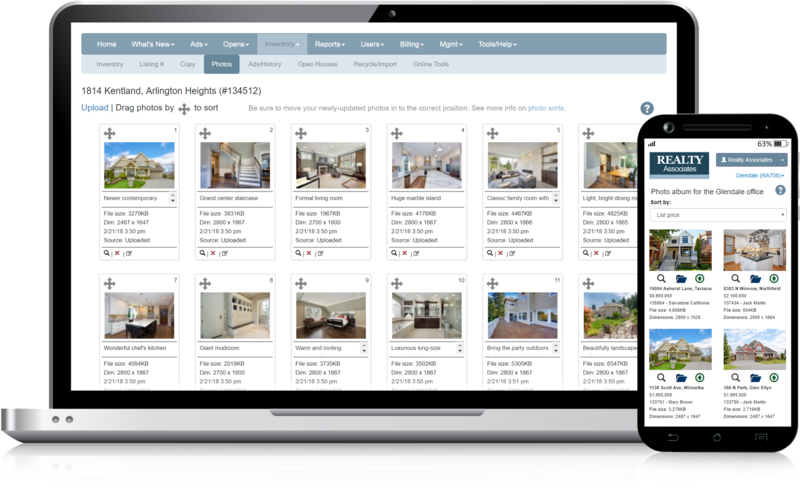 Companies that use AdMaster™ to build virtual tours can get a real-time high-res presentation anywhere the virtual tour is fed – even when sent in IDX feeds. Regardless of the destination site’s ability to display a full-screen image, our VisTours are capable of showing your images in high-resolution full-screen mode. Our original videos will be created in as high a resolution as the photos in it support. YouTube will display the video at up to 1080p and probably higher in the future. AdMaster’s email marketing and HTML advertising initially delivers an HTML presentation with right-sized images to increase speed and delivery of an HTML page or an email to the destination inbox. But once displayed, clicking on an image calls the AdMaster™ servers to display the image in full-resolution in a new browser window. AdMaster™ will watermark your images on the fly as they are retrieved for different purposes. A broker is able to brand and/or copyright its syndicated images while using clean originals are applied to brochures, print applications and other pre-branded environments. 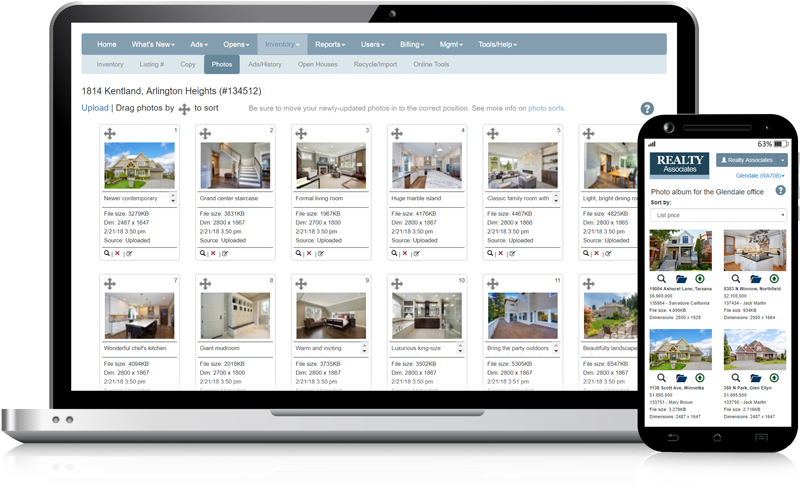 All of AdMaster’s feeds, regardless of destinations include or have links to the high-resolution images. And high-res images allow our print clients to do more impressive marketing pieces using larger images. Our print ad proofs identify and alert the user to images that fall short of the resolution needed to optimally display in a quality printed publication.